Earn up to 712 reward points. 7-string version of Jazz Model SH-2. A classic moderate output humbucker, the SH-2W for neck position is not only great for jazz, but also country, blues, funk, classic rock, and heavy rock. The SH-2W provides an articulate and clear tone. Great for fast runs. 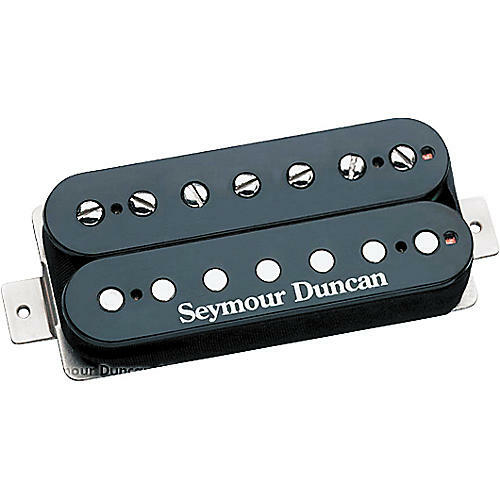 The brighter tone has slightly less output and is a good match with most bridge pickups. When distorted, the tone is full and bright. Smooth sustain. Comes with four-conductor hookup cable. For balanced and warm instruments. Works especially well with mahogany bodies and rosewood fingerboards. Also works great with hollow and semi-hollow body guitars.